There’s something about white and neutral color that I always love. It’s a fail proof combination. As LA transiting into complete Fall season, I am very much enjoying this hybrid weather as long as I can, when most days are full of warm sunshine with a mix of cool/cold breeze. 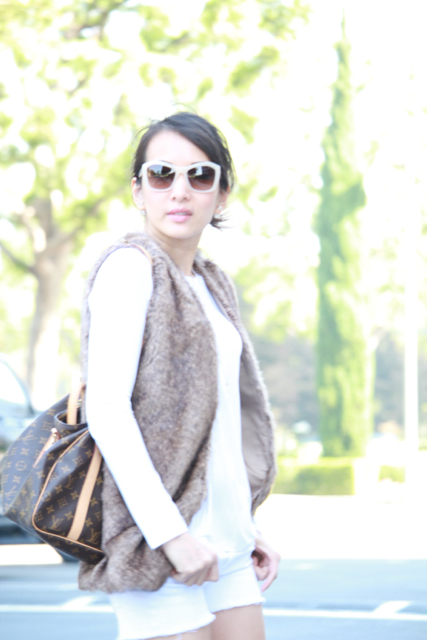 Nothing more perfect for this kind of weather than my crisp white with a neutral faux fur on top and accessories. As always, thanks s much for reading!